Seabury Warren Bowen, physician and neighbor of Andrew Borden, has, for over a century been a person of interest to those who study the Borden homicides. 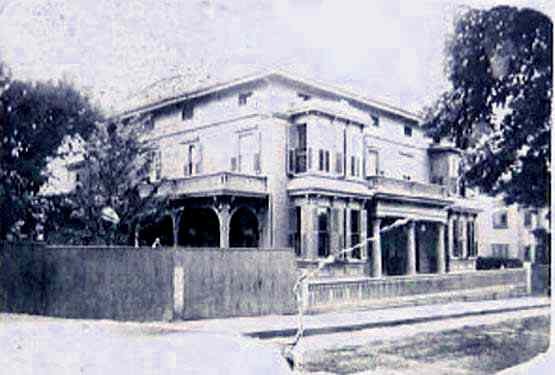 As one who was early on the scene, and literally in the thick of things from the day before the murders, many speculations, not all of them flattering, have been conjectured about the good doctor across the street. Son-in-law of Southard Miller who was a very close friend of Andrew Borden, and builder of the Borden home at #92 Second Street, some venture that Dr. Bowen may have harbored sympathetic tendencies where Lizzie Borden was concerned and may have protected and aided her on the day of the murders. Others venture further and hasten to bring up the idle gossip about the Sunday Lizzie attended church with Dr. Bowen unchaperoned when her family was out of town. Even more shocking is the speculation that Bowen was in a good position to smuggle a murder weapon from the Borden home on the day of the murder. He was never searched and came and went freely at the murder house, once leaving to send Emma Borden a telegram, shortly after his arrival at the crime scene. He left the Borden house, went to his own home to consult timetables and then drove in his carriage to the Western Union station to send the telegram to Emma in Fairhaven. He had the opportunity and means to dispose of incriminating evidence- but did he? His behavior later in the kitchen at the woodstove, as he tossed some torn scraps of a note with the word “Emma” on one scrap into the stove has come under scrutiny. His quick medication of Lizzie first with bromo caffeine, then morphine has raised an eyebrow. Did he medicate and more or less cocoon her from brutal interrogation in those first crucial hours after the murder for a reason? His actions may have a perfectly innocent explanation, but every person involved with the Bordens, in the years since the infamous crime, has come under the lens of suspicion or complicity at one time or another. 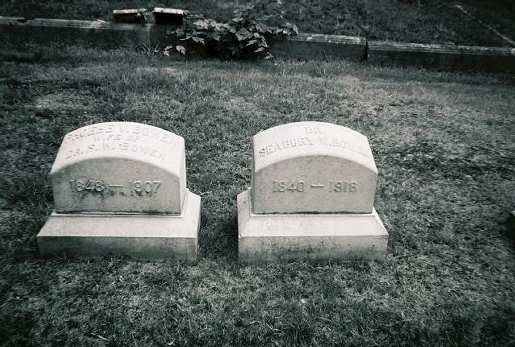 Bowen was first made aware that things were not as they should be on the day before the murder, Wednesday, August 3rd when Abby Borden crossed the street early that morning to report the violent illness, possible poisoning, the night before of herself and her spouse. 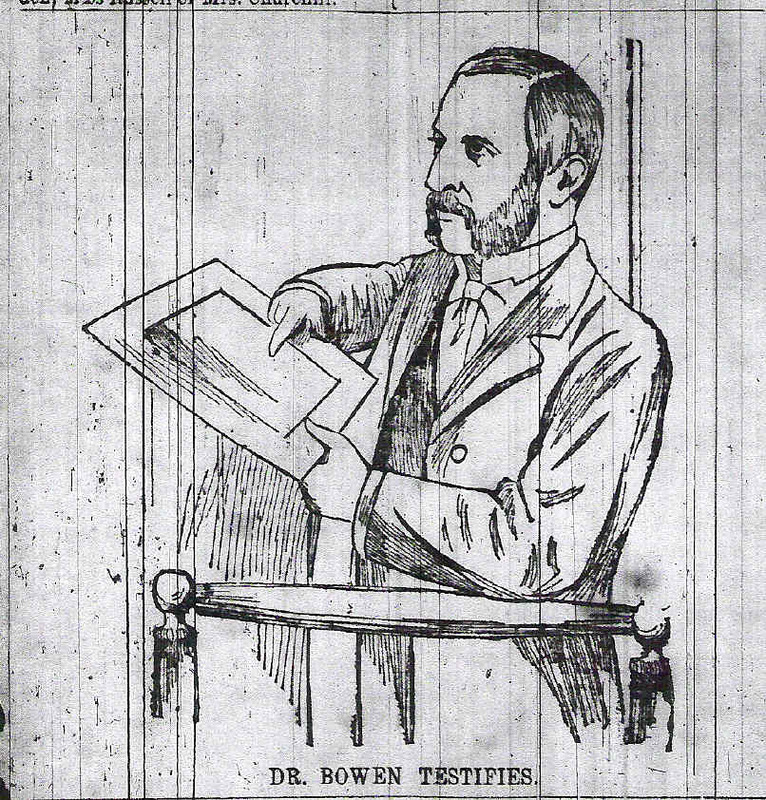 To read the testimony Bowen gave at the preliminary about that morning visit and also about the day of the murders, visit this link https://lizziebordenwarpsandwefts.com/bowen-preliminary-testimony/ or click on the tab at the top of the web site page. In April 2010, the Second Street Irregulars, “Mutton Eaters” chose Dr. Bowen for their research personality. Each member of the armchair sleuthing society came prepared with a fact about Dr. Bowen. The following collection of photos and articles were the result of the search, and shed some measure of light on the family friend and doctor, Seabury Bowen. Among all the people that day at the Borden home, many feel Dr. Bowen would have been the “Interview of Choice”- who better to really know the inner workings of the Borden family? What might have been the discussion that night in #91 Second Street between Phebe and Seabury Bowen? Whatever Bowen knew, he kept quietly to himself all the way to the grave. Some photographs and articles of interest discovered by the “Mutton Eaters” 2010. The Atlantic Medical Weekly, A Journal of Reform and Progress in tbe Medical Sciences. “Bowen, Seabury, physician and surgeon, was born in Attleboro, Mass., July 22, 1840, a son of Benjamin and Leafa (Clafflin) Bowen. He obtained his preparatory education in Attleboro Academy, entered Brown University in 1860, was graduated A.B. in 1864, and received the degree of A.M. from his alma mater three years later. 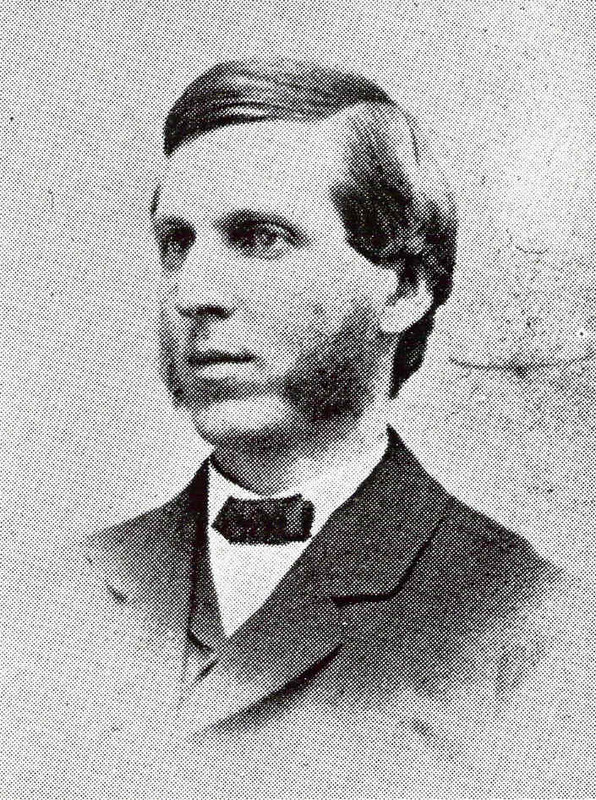 He was graduated from Bellevue Hospital Medical College in New York city in 1867, and the same year located in Fall River, where he has since practiced his profession with success. 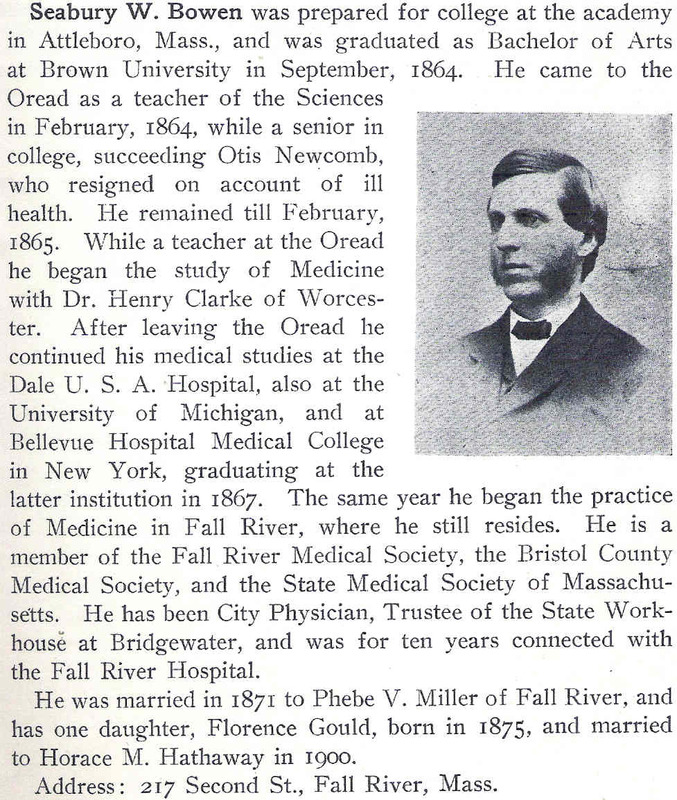 Mr. Bowen is a member of the Fall River Medical Society; Bristol County Medical Society and Massachusetts Medical Society. He has been on the medical staff of the Fall River Hospital since its origin. 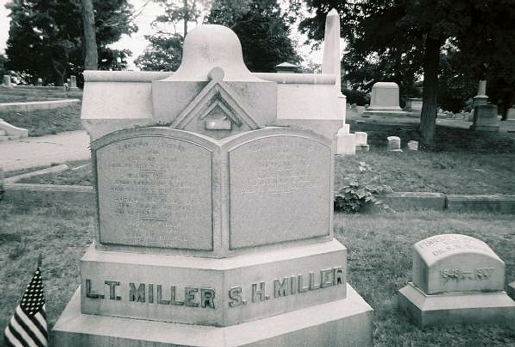 In 1871 he married Phoebe V. Miller, daughter of Southard H. and Esther G. Miller of Fall River, and they have one daughter, Florence G. Dr. Bowen served as trustee of the State Workhouse at Bridgewater for several years. He has also held the office of city physician of Fall River. The Fall River Hospital, by the way, has had a long period of dark days, and has but recently emerged into anything like a prosperous condition, and is becoming a hopeful as well as a useful institution through certain tokens of appreciation it has received, among which one of the most substantial was inspected by friends of the institution on the evening of the graduation exercises. It was an aseptic operating table of Kaysand’s patent, presented by Dr. Richard J. Thompson. This is to take the place of the wooden table which has always been in use at the hospital for operating purposes, and which, though good, has long been rather primitive. The new table has an iron frame, a rough-plate glass top, a zinc drain is adjustable in parts, and is admirably adapted to the needs of the hospital. It is valued at $125.00. The institution has long considered the idea of buying such a table, but by waiting has obtained it without cost and with the hearty good wishes of the giver. The exercises of graduation took place at eight o’clock, in the front rooms on the first floor of the hospital, which were decorated with flowers. The exercises opened with autoharp and vocal music, the nurses joining in the singing. Dr. Seabury W. Bowen, of the medical and surgical staff, then addressed the graduating class. The substance of his remarks was that women only are successful nurses; that only love of their work would enable the graduates to meet their duties; that nurses imperatively require rest; that much more is expected of a trained nurse than the graduate can readily imagine; that the most fateful results depend on her judgment; that skillfulness, thoughtfulness, and watchfulness are demanded of her; that under no consideration is she to let the world know the secrets of those she serves, which, as she values her life, she is to keep to herself; that the graduates were to be keen observers, exact reporters, and like fresh bouquets of flowers in the sick room at all times; and that they were to be so helpful to those they attend that when they pass away they shall not find so great a difference between the angels to whom they go and those they leave behind. At this point Dr. Bowen, who had spoken about ten minutes, presented the diplomas and the certificates of proficiency which the graduates had won in massage treatment. After another musical selection on banjos and mandolins. Dr. R. J. Thompson presented the badges which the woman’s board of the hospital gives to the graduates on such occasions. Dr. Thompson spoke to the class on the age, the significance, and the honorableness of the badge, and after speaking of the knightly character of the nurse (a knight being, in the earliest meaning, an attendant) characterized the nobility of the service of ministry to human needs, and testified to the courage and constancy of the graduates, as he had personally witnessed it. He thought as they went out into the world they would wear the badges honestly, consistently,, truly, nobly, and that no one would be more their well-wishers than the woman’s board, who gave them the badges to-night. Miss Vaillancourt and those who sang with her then rendered Frances Ridley Havergal’s hymn, ” Consecration,” and Mayor Greene then addressed the audience with praise of the hospital pioneers of Fall River, of the workers now engaged in the institution, and of the progress which has been made in local surgical treatment on account of its establishment He alluded regretfully to the accident which had occurred to a valued foreman at the library site in the afternoon, and in closing sentences expressed the sorrow which the hospital people, with whom he was closely identified, had realized in the death of Dr. John M. Mackenzie, and noted the wide local regret caused by the loss of one of such marvelous traits and marvelous accomplishments at a time when he seemed to be at his very best as a physician. STATE OF RHODE ISLAND, &c.
I, Charles P. Bennett, Secretary of State, hereby certify that Henry C. Bowen, Seabury W. Bowen and Elisha C. Mowry, have filed in the office of the Secretary of State, according to law, their agreement to form a corporation under the name of H. C. Bowen Foundry Company, for the purpose of engaging in the business of manufacturing iron, brass and other castings, and gas stoves, and in other manufacturing business connected therewith or incidental thereto, and with the capital stock of fifty thousand dollars, and have also filed the certificate of the general treasurer that they have paid into the general treasury of the state the fee required by law. The H. C. Bowen Foundry Co., of Providence, R. I., has been incorporated with a capital stock of $50,000. Incorporators, Henry C. Bowen, of this city; Seabury W. Bowen, of Fall River, and Elisha C. Mowry, of Providence, R. I. Last Thursday the Bowen-Macomber Company, manufacturers of jewelers’ tools, etc., at 203 Eddy street, Providence, made an assignment for the benefit of its creditors. The assignee is Ashbel T. Wall, of the firm of A. T. Wall & Co., of 101 Sabin street. 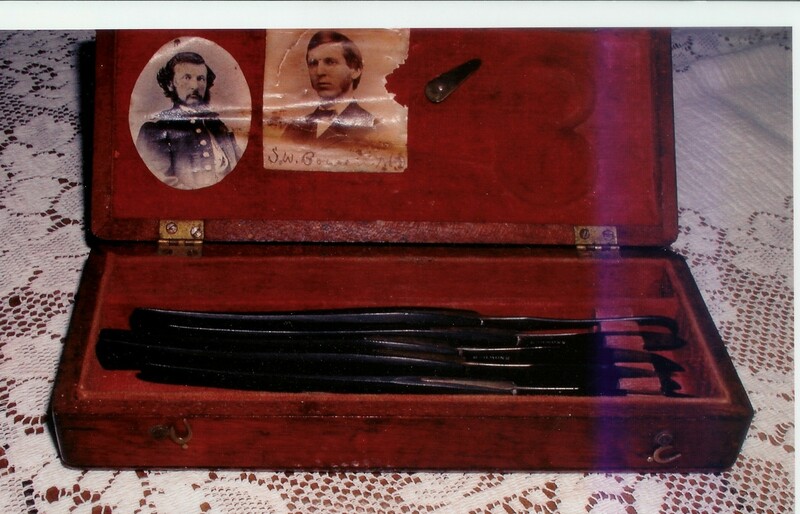 This photo of a surgical kit was sent to Lee Ann Wilber at the Borden House recently from the family of a man who had been at school with Dr. Bowen. The same small photo of a young Seabury Bowen appears next to that of his old friend and classmate. I would like to know more about Henry Rawston Benjamin, Seaburys class mate & also is it possible to find more info about Seabury if I sign up to ansectory. com? Or has everything been found? What about contacting the person who donated the photo of Henry Benjimin & Seabury? Would someone please describe to me the duties of City Physician in Fall River at the time of Lizzie Borden and Seabury Bowen. Terrific article, Shelley! Great information and photos. Congratulations to all! Nice article! Shelley, you organized all of that great information on Dr. Bowen so well! He was an interesting character… Nice job, Lorraine, and all who contributed!